There is NOTHING in digital marketing more important than email, right? Even with social media, bots, apps, and all the rest, email is still how we communicate to most of our customers and prospects. 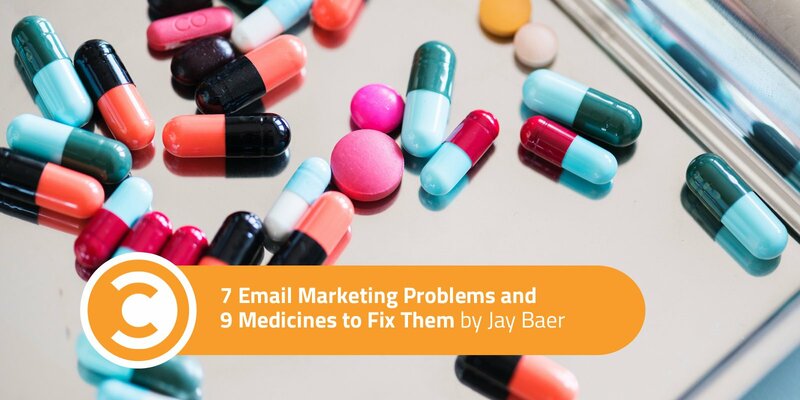 But the problem is, most email programs have a nagging cough and a persistent fever. Most email programs are sick in one or more ways. These are all symptoms of a sick email. But, there are REMEDIES for every malady. 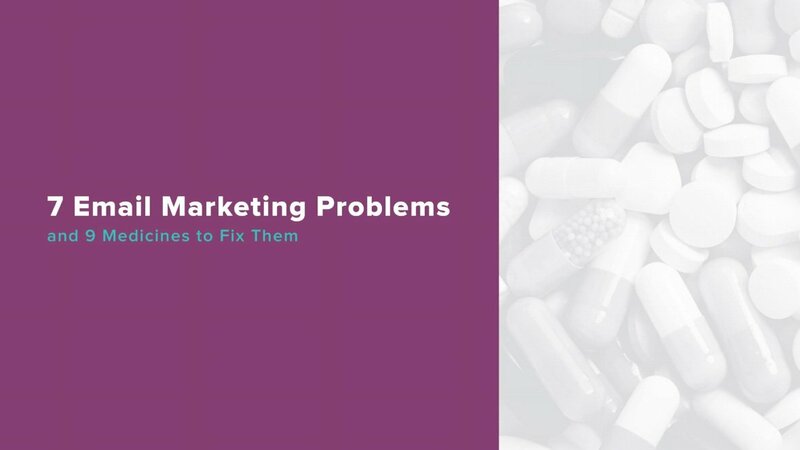 But instead of logically looking at what is wrong and what to do about it, so many marketers make important decisions about emails based on stories, not math. My friend Tom Webster from Edison Research has a fantastic saying: “The plural of ‘anecdote’ is not ‘data.’” But so many email programs today are governed by what we believe to be true based on stories we’ve been told or stories we choose to tell ourselves. Even now, in 2018, with a cavalcade of available data the size of Jay-Z’s ego, we still aren’t often managing email in a fully data-driven way. I set out to fix that with my friends at Emma (a fantastic email services provider, based in Nashville). Recently, we partnered on a webinar called 7 Email Marketing Problems and 9 Medicines to Fix Them. I believe if you have even a tangential responsibility for email in your organization, you’ll find this webinar quite useful. Feedback from live attendees was exceptionally positive. You can get the entire replay here, plus a written ebook that goes into A LOT more detail here. For your convenience, however, I’ve summarized many of the key points here, and I hope it whets your appetite for watching the replay or reading the ebook. Delivery Rate – Successful deliveries as a percentage of list size. Open Rate – Number of subscribers who open as a percentage of emails delivered. 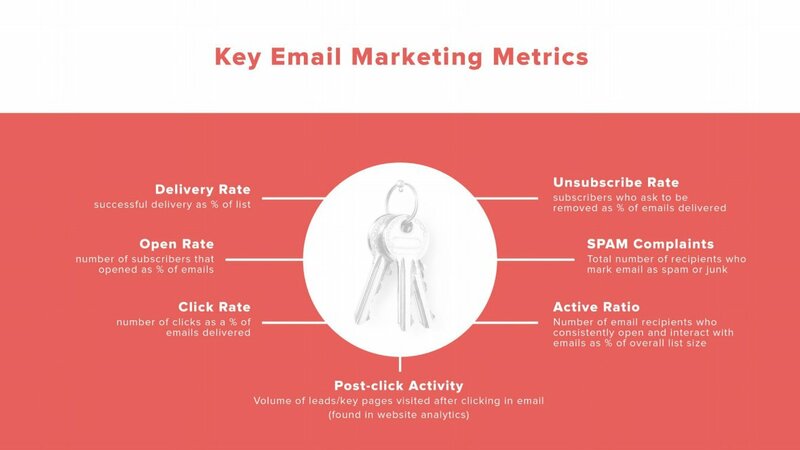 Click Rate – Number of clicks within an email as a percentage of opens. Unsubscribe Rate – Number of recipients who unsubscribe as a percentage of emails delivered. SPAM Complaints – Total number of recipients who mark the email as “SPAM” or junk for each email send. Active Ratio – Number of email recipients who consistently open and interact with emails as a percentage of list size. Post-Click Activity – The volume of leads generated, products sold, or other brand-specific objectives completed as a result of email marketing to a targeted audience. Note: Metrics for post-click activity are usually available within a website analytics (e.g. Google Analytics) or e-commerce analytics (e.g. Shopify) platform. How do you know when your email program is having issues? When some or all of the key metrics above start to decrease, or increase, depending on the metric. But do not make big decisions based on one or two data points. A big mistake made by many email marketers is mistaking weather for climate. Give yourself enough time—and enough email sends—for a true pattern to emerge before you make significant changes. For low delivery rates, you’ll want to consider using a tool for list validation and take a look at your subscription process. For low open rates, testing means everything: Test your subject lines to see if you can find something that better resonates with your audience. Also for low open rates (and this one doesn’t get tested enough), try different “from” names. YourName@company.com or President@company.com or whatever can have a big impact! For low click rates, think about your content alignment using what I like to call “The Mom Test.” If you’re about to send something, and your mom wouldn’t love it, don’t send it! Also for low click rates, look at your call to action in the email itself. Is it clear? Are there too many options? Does it work on mobile? For high unsubscribes and high SPAM rates, look at your subscription process. How are people getting on your list? Do they know what they will receive from you, how often, and when? Also, if your unsubscribe and SPAM rates are high, consider segmenting your list. Relevancy is the key to email success, so think about sending more specific emails to smaller list segments. If your post-click activity is sparse, it’s either because the content between email and landing page/website isn’t aligned, or your overall call to action is unclear or misleading. Email isn’t going to be perfect. Nobody’s THAT good. 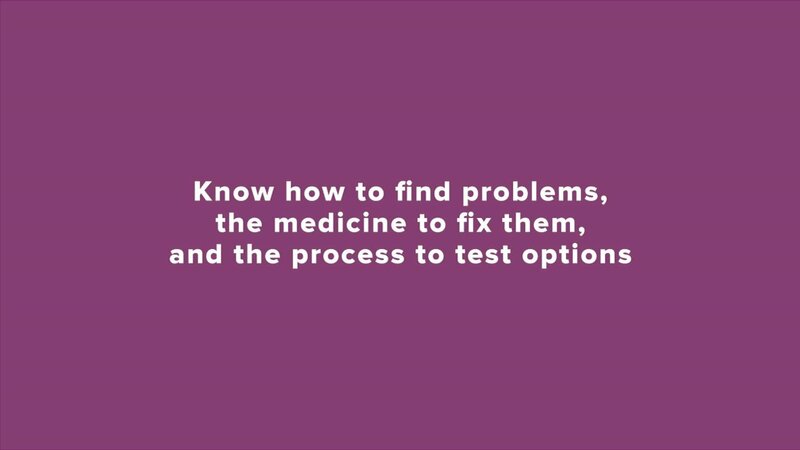 But if you identify your email problems, know the medicines to fix them, and are ready to test those fixes, all you have to do is get started. Commit to the principle of ABT: Always. Be. Testing. It will make you a better email marketing, and a better marketer in general. Watch the entire webinar here, or download the much more comprehensive ebook about email metrics and success here.